Despite the winter weather, we have continued to work on site. One outstanding task was to make the Power of Water structure safer. We have removed one section of stairway and fenced the resulting gap. At the hill end of the walkway, the decking and joists have been removed and fenced off. The steel work has been stored for a future fence round the smelting mill and the timber has gone into Carrs Mine to extend the decking. We also cleared the debris, litter, beer cans, pop bottles and other rubbish which seems to accumulate under the structure. 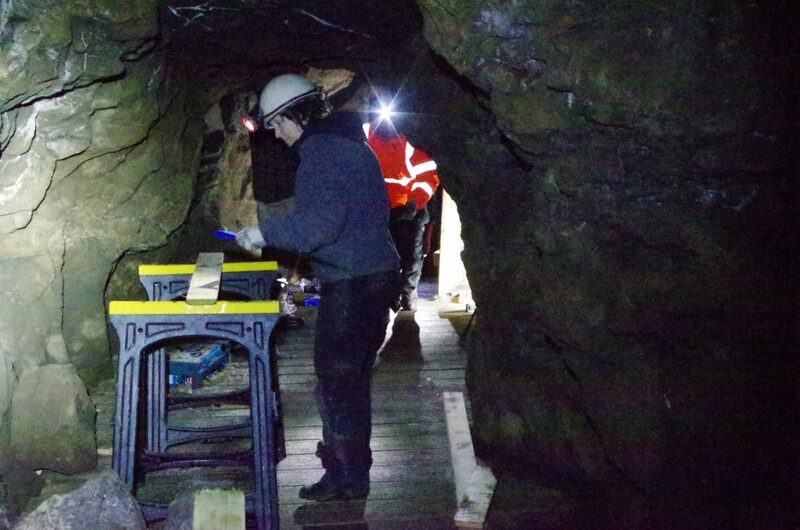 In Carrs Mine, we have extended the space at the zinc mining site by both removing some of the deads pile and by extending the decking walkway. This opens up a good view of a galena vein in the level wall and gives us more space for visitors. The old safety barrier of large timbers has been taken out and stored, and has been replaced by a replica mine ventilation door. The boiler in the Assay House has been replaced by a new boiler. Your Trustees decided that the existing boiler was life expired. The new boiler already shows much greater heating efficiency and hot water is now readily available. A professional installer supplied and fitted the boiler – our volunteer effort was to install the heating controls. The smelt mill viewing seat has been cleaned and repainted – it now awaits new timber slatting. The Eimco loader has been examined and the new wheel nut fitted. 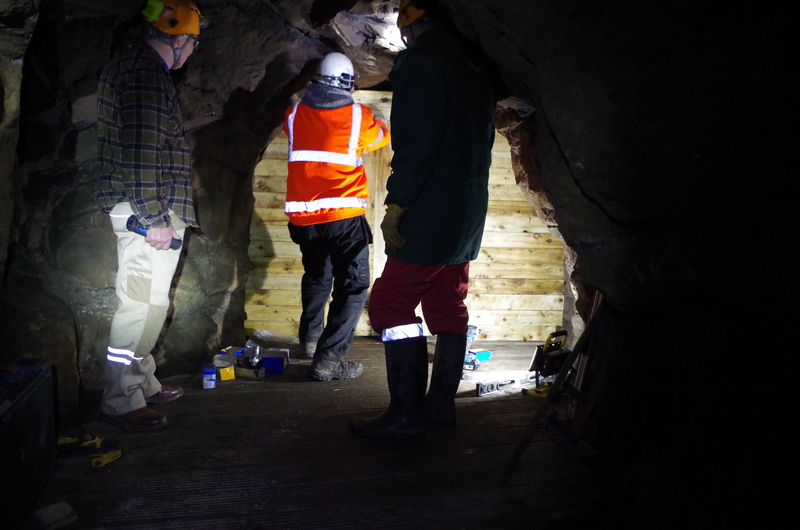 We have inspected Brewery Shaft underground and started to plan some safety enhancements. We purchased some more archive storage boxes and now have all our plans and drawings stored and catalogued. The index to plans will soon be on our website. The NPHT meeting reports have now been sorted and filing is almost complete. Thoughts are now turning to photos and slides. The Assay House has been regularly cleaned. We have had some winter weekend visitors which has boosted our income.